It looks like the photograph was made in 1989. 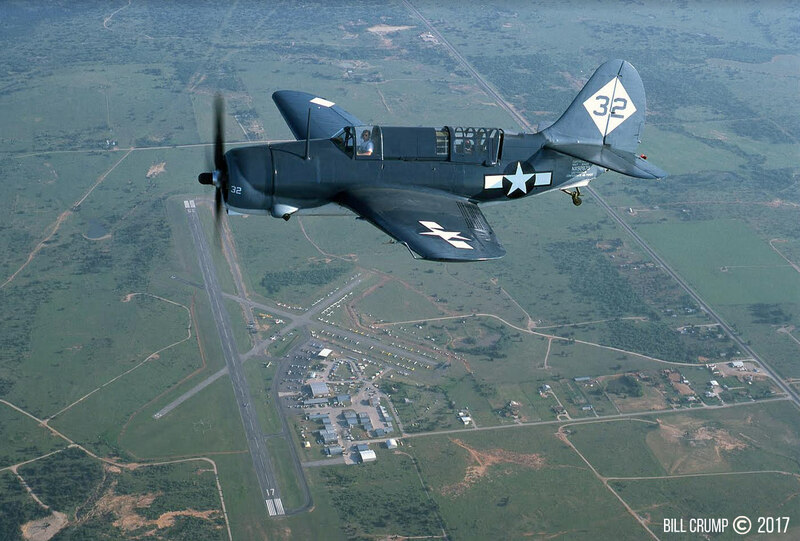 Nelson Ezell is flying the Helldiver. Chino. Geneseo. Reading. TICO. Ypsilanti. 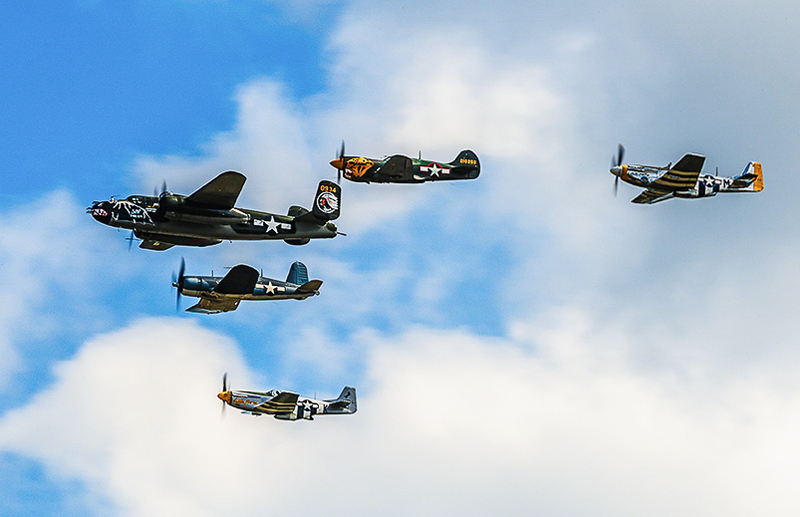 The names of these traditionally warbird-heavy airshows all elicit visions of warbirds large and small as far as the eye can see, while the sky reverberates to the rumble of Wrights, Pratt & Whitneys, Allisons, and Merlins. Quite often a warbird airshow can touch the lives of young and old in a much more intimate way than an airshow that is dominated by modern military hardware. The latter is often roped off so a spectator can only marvel at their beauty from a distance. 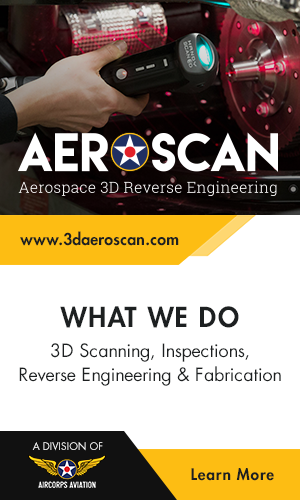 At many warbird shows one can walk right up to their favorite aircraft and see it up close, touch it, smell it and often it will reach out and touch you with a few drips of oil. For as many warbird airshows one can name there are others that have faded into our memories. One of those airshows was Breckenridge. 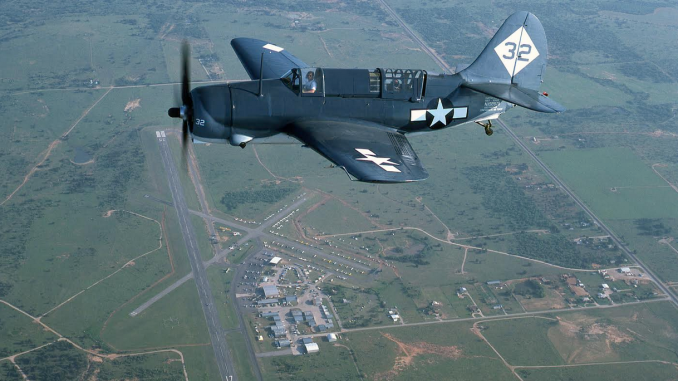 In 1977, the late-Howard Pardue was instrumental in starting the Breckenridge Airshow and for two decades this airshow always attracted warbirds from around the country and from within Texas, which has always been home to a number of Commemorative Air Force (CAF) squadrons, flying museums, and private collections. Then, like so many other shows, it ceased to exist. In late 2016, twenty years after the last show, the Breckenridge Chamber of Commerce, Stephens County Airport, and Ezell Aviation announced the air show will return in 2017. The announcement spread like wildfire and the line-up is now just as impressive as it ever was in the past. Performers include the CAF’s Tora! Tora! Tora!, Comanche Fighters, Texas Flying Legends Museum, Mid-America Flight Museum, Randy Ball in his MiG-17, the CAF’s B-25 Devil Dog, Carl Best in his T-6, and many more. 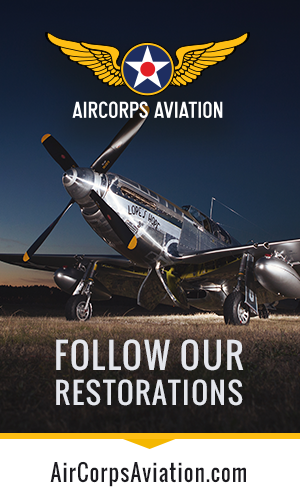 Warbird News wishes the organizers, performers, and participants an air show that creates exciting new memories to add to the nostalgic recollections of years gone by. 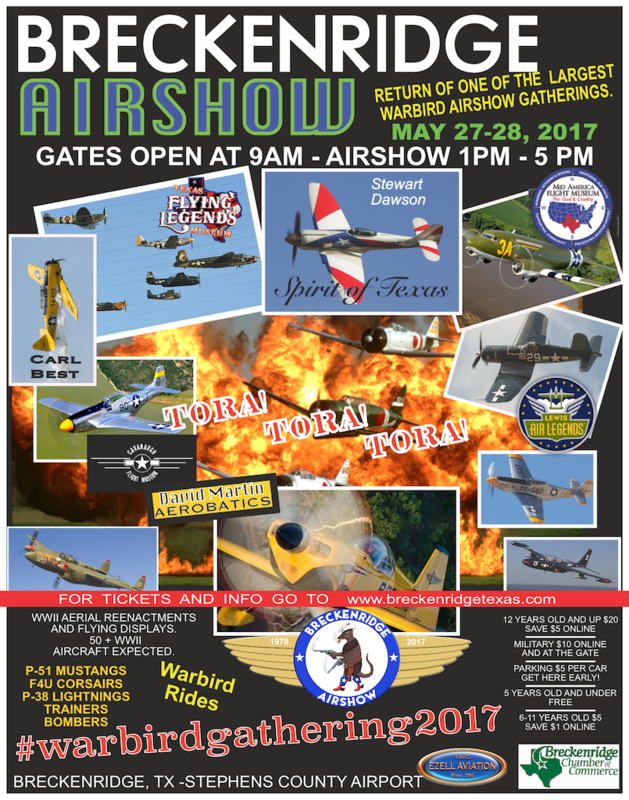 The show is scheduled for May 28, 2017, at the Stephens County Airport in Breckenridge Texas. So glad to see this great airshow return. These warbirds were a major part in our winning WW II and our young people should have the chance to see them and understand that “Freedom is not Free”. Anyone know if it will be in 2018 too?